AuBurn Pharmacy saves you money on Med D Plans! Download the RXpress App today! AuBurn EZMed packaging system gives you the peace of mind that you are getting the right medication at the right time every day. With EZMed packaging, medications for each day are packaged into one bubble for easy dispensing. All you have to do is pop the medications out of the foil backing for the appropriate day and time. When reviewing the card the bubbles are packaged on, it is immediately visible if you have missed or doubled up on any doses! It takes any guessing out of the equation. The AuBurn EZMed packaging systems helps you manage your daily medications more efficiently by helping you easily identify when you only have 3-5 days left giving you time to order your refill or to get to the pharmacy to pick up your refill if you are enrolled in the auto refill program. The EZMed packaging system is part of the AuBurn AdvantaCare medication synchronization and adherence program. 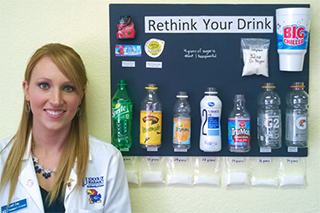 AuBurn Pharmacy, Inc. introduces their NEW Healthy Kids Program. Download a form and Enroll your child today! AuBurn Pharmacy offers FREE educational materials to local schools for National Nutrition Month to help teach students how to make healthier choices. Please click here to use the Rx Encyclopedia.